A week ago, the British House of Commons asked Facebook CEO Mark Zuckerberg to fly to London and face questions about the way that the company handles private user data. Facebook just sent a letter back this morning. Zuck’s response? Thanks, but no thanks. We’ll send a lackey. But British lawmakers aren’t giving up. They’ve even offered some helpful alternatives to Zuckerberg coming in person. Maybe Zuck can utilize 21st century technology and testify by live video link, the Brits have said. Now, why didn’t Zuck think of that? 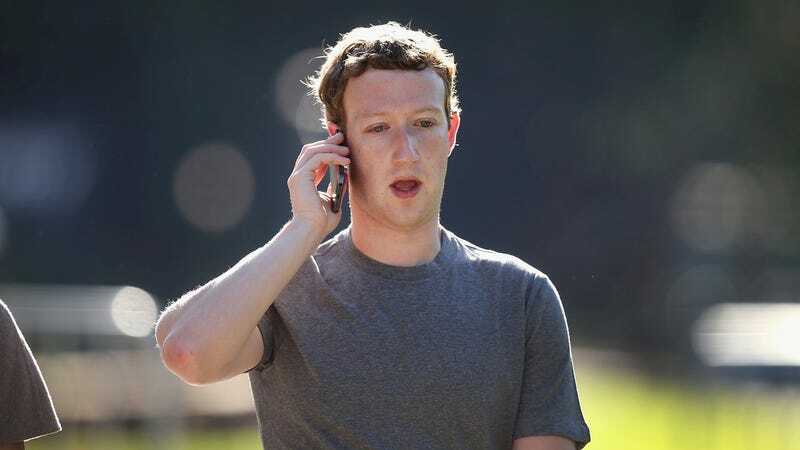 The original letter from the UK on March 20th was addressed directly to Mark Zuckerberg and asked for a “senior Facebook executive” to answer for the company’s massive breach of trust. “Given your commitment at the start of the New Year to ‘fixing’ Facebook, I hope that this representative [to testify] will be you,” last week’s letter from a member of the British Parliament said. But Facebook won’t be sending Zuckerberg. At least not voluntarily. “Mr Zuckerberg has personally asked one of his deputies to make themselves available to give evidence in person to the Committee,” today’s letter from Facebook reads. Instead of Zuckerberg, the company is offering up Mike Schroepfer, Facebook’s chief technology officer, and Chris Cox, Facebook’s chief product officer. But the Brits aren’t having it. In fact, they said that the letter they got back was a bit confusing. “We would still like to hear from Mr Zuckerberg as well,” Damian Collins, the author of the original letter from the British House of Commons, said today. “We will seek to clarify with Facebook whether he is available to give evidence or not as that wasn’t clear from our correspondence and if he is available to give evidence then we will be happy to do that either in person or by video link,” he continued. It was revealed earlier this month that Cambridge Analytica obtained the Facebook user data of over 50 million people and used that to influence the 2016 US Presidential election in favor of Donald Trump. But Britain is more concerned with the way that Facebook has influenced its own political situation, including with Brexit. UK authorities obtained a warrant and raided Cambridge Analytica’s office in London on Friday. Facebook’s new letter also laid out a six point explanation for what Facebook is doing during their ongoing crisis, one of which is to “encourage people to manage the apps they use,” which sure sounds like blaming users rather than addressing the fact that Facebook mishandled its own data. That all sounds well and good, but it sure was silly of Zuck not to think of testifying by video link. I’ll bet he’s very thankful to British lawmakers for suggesting such an easy fix. Now we just need to see if the Facebook CEO takes them up on it.